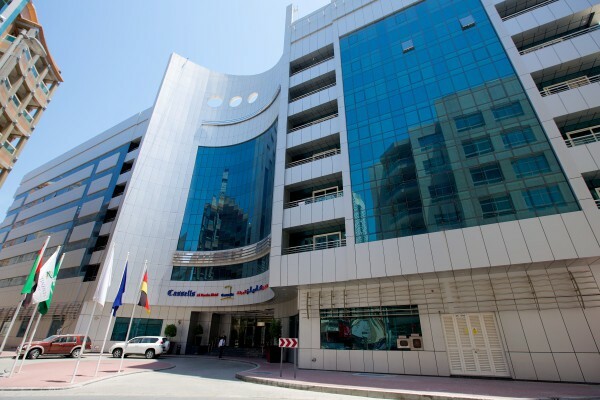 Cassells Al Barsha Hotel was operated under management contract from the Owner and Bank by Five Continents Hotels & Resorts from April 2013 until November 2014. I assumed full operational responsibility as General Manager in September 2013 until the contract was terminated by the Owner. It was clear at the outset that the hotel was significantly underperforming relative to its position and scale in the Dubai market. Although only 4 years old it had been Owner operated since opening and had not achieved the levels of service, business or profitability that should reasonably be expected of such a well-constructed property in a prime location. This was the reason that the Owner and Banks sought external input and contracted Five Continents Hotels & Resorts on this basis. After only 5 months under the new contract, however, the initial management approach to the property was discontinued and I was installed with full operational control. At the time of my starting the hotel was operating as an oversize B&B with business from the Leisure sector only. The management team had experienced a summer of discord and several changes of direction were confused and staff levels below standard. The installation of the Cluster Management team under my control along with the group responsibilities for Sales & Marketing, Human Resources and IT meant that progress could be swift. Finance continued to be managed by the Directors. Although new to the region, I quickly found that the issues were not unique. There are of course cultural implications of operating a hotel in the UAE, however, these were adopted and lessons quickly learned! Management restructuring was achieved although recruitment remained a challenge. Communications internally were established and control asserted. The hotel was operating at capacity from EID, October 2013 onwards and staff training and development was laboured throughout the peak trading season. The management company had taken on a significant liability for staff vacation which also limited progress as most staff were required to take vacation during the peak season… Issues regarding staff accommodation and the Hotel License led to this being relocated from the desert to purpose-built accommodation just 10 minutes from the hotel. The catering development started immediately with the relocation of the breakfast room to the largely unused conference suite once the license had been gained. The hotel was servicing over 650 breakfast covers everyday throughout the season. This opportunity led to the re-opening of an Emirati based restaurant in the lobby and the installation of a camel-based products coffee shop under license. In the New Year the previous Breakfast Room was regenerated into a coffee shop with investment in the lobby. Developed Corporate Rooms Segment from 1.8% to 16.0% YTD.